What’s with Madonna? I never really asked myself that question because I’ve always been a bit of fan, enjoying her music, relishing the controversy, and admiring her skill at always reinventing herself. She was my generation’s Lady Gaga. The presentation is made and . . .
mediocre acting career. Wait, that last one probably wasn’t much of a stretch.
. . . the eyes roll. Really? Loathe? I mean who can loathe a plant? You can certainly loathe, I don’t know, a serial killer, a dictator, maybe even Brussells Sprouts if you had to choose a plant (although, personally, I love them). I might be tempted to say that I loathe weeds and weeding. The truth is I enjoy weeding. And as for the weeds, they can be annoying and tiresome – but I would never say that I loathe them. In fact, I actually like some of them – but that’s a whole other post. 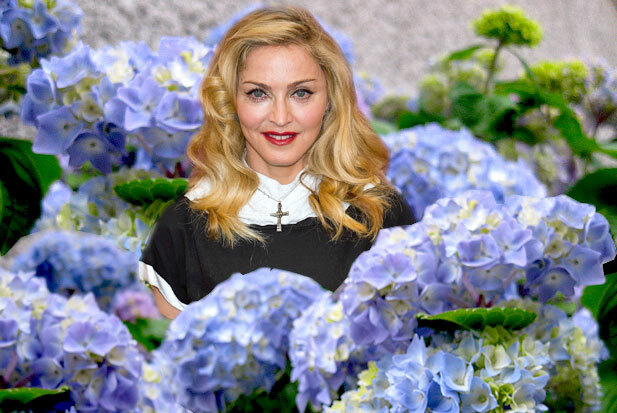 To add insult to injury, she then released a video, “Madonna’s Love Letter to Hydrangeas,” in which she appears to be apologizing to a Hydrangea bouquet. “You have no idea how many nights I have lost thinking how I hurt you. Words cannot express how sorry I am. To think I may have caused you pain.” But faster than a ray of light, she throws the bouquet onto the ground, and says, “I’m left with the fact that I still hate Hydrangeas! And I will always hate them!” Then there is an expletive and a statement that she likes roses. A face only Madonna could loathe. Let’s review, shall we? This is a 53-year-old megastar, mother of three, children’s author – and she’s on a Hydrangea rant? I know her children’s book is named The English Roses, but what have Hydrangeas ever done to Madonna? She lives in England, but has she never gone to an English tea with vases of freshly cut or dried Hydrangeas? Has she never toured an English garden to see the interest that Hydrangeas can create? If you don’t believe me, just watch the bloom, as it goes from a tightly packed cluster of chartreuse to white or pink or blue, and then to a muted, antique tone at the end of the season. And we haven’t even scratched the surface: shrub hydrangeas, climbing hydrangeas, oak-leaf hydrangeas, lace cap, old wood, new wood. 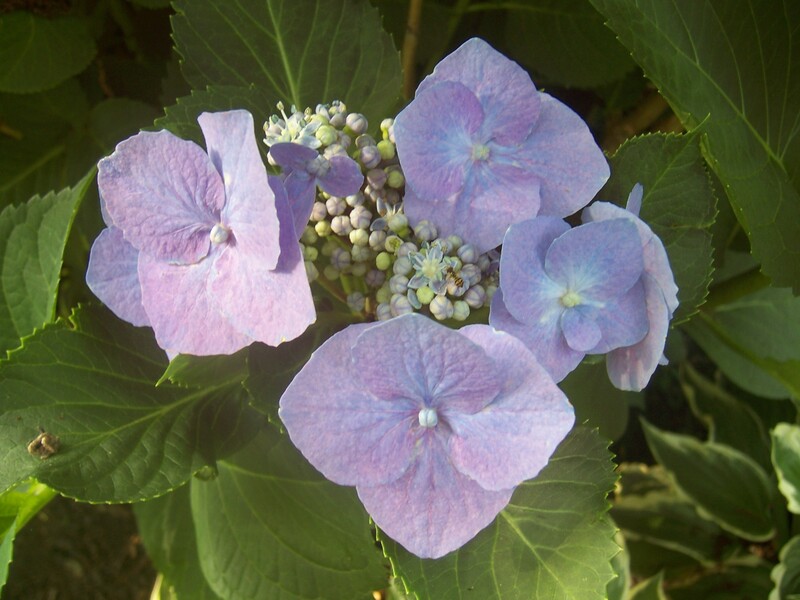 They change so readily that you might even say that Hydrangeas are the Madonna’s of the plant world. And, I find them much easier to care for than roses — and that is said without an ounce of loathing. If I sound like I have taken Madonna’s maligning personally, well, I have. Not only are Hydrangeas one of my favorites in the garden, but I have been a supporter of Madonna since before she was MADONNA. I was about 18-years-old when I saw her first video (for a song called “Everybody”) in a club and I was mesmerized. Since then, I have purchased vinyl, CDs, and iTunes music. Some of her stuff is great for the treadmill. But now, I have a bitter taste. The music may be playing “Frozen” or “Like A Prayer” or “4 Minutes,” but all I hear is, “I aboslutely loathe Hydrangeas” – and that can trip up a person on the treadmill. So, Madonna, I offer you an open invitation. You are welcome to come to my home, so I can share some Hydrangea love. 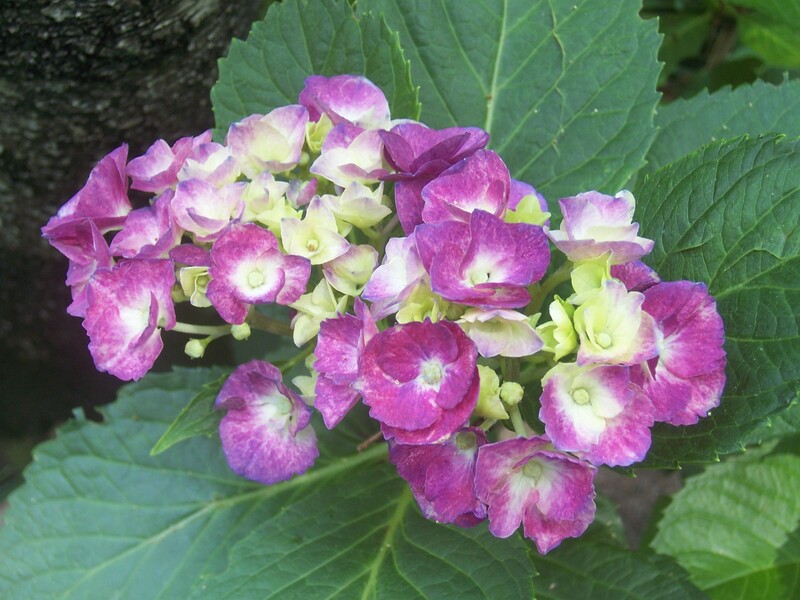 I will even introduce you to my friend Lorraine, who will charm you with her tales of the non-stop blooms of “Blushing Bride” Hydrangea. Until then, England called. She would to take back your accent. Kevin, I love this post. I guess if you’re Madonna, you can get used to overstating everything for dramatic effect, until it just leaves you looking very silly and shallow. Let us know if she takes you up on your invitation! If she shows up for dinner — with a Hydrangea arrangement on the table, of course — you will all be the first to know. I have always been a fan of Madonna’s as well, but was disappointed by her side comment after receiving the hydrangeas. Although I can respect that we all have our likes and dislikes, I have always felt that a gift given is a very precious thing. I wish she had focused on the person’s heart who gave her the gift, rather than the gift itself. I agree wholeheartedly. I felt very sad about the whole incident because it was a glimpse of her when she thought no one was looking. If not for the fans — us and the man who presented her with flowers — she would not be holding court at the Venice Film Festival. She would just be Madonna Ciccone from Michigan. I did not care so much whether the silly woman loathed hydrangeas but that she was so rude and unfeeling to a fan or another human being. I think it says much about her character and now who could loath a hydrangea? Not fond of but loath. LOL! You know, the more I think about it, the more angry I get about the rudeness and snobbery aspect. Her “apology” was her attempt at spoofing herself — at least that’s what the entertainment shows are saying. A more appropriate would have been a heartfelt apology to the man who presented her with the flowers.